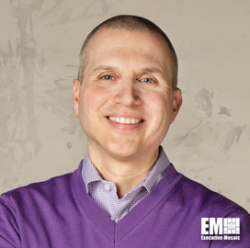 Dan Tucker, a vice president at Booz Allen Hamilton, told Meritalk in an interview published Tuesday that federal agencies need to assess their data architecture and future requirements for data scalability and extensibility when moving workloads to the cloud. “You almost need the data strategy at the application and portfolio level before you can lay out your cloud strategy,” Tucker said. “When you think about your data strategy, you need to think about data governance, data sources, the extensibility of the data architecture, and data lineage,” he noted. He said chief data officers at agencies should collaborate with cloud management offices and agency chief information officers to advance cloud transformation efforts. Tucker, head of Booz Allen’s digital platform capability team, called on agency managers to acknowledge cloud transformation as part of digital transformation that demands change management and cited how the Cloud Smart strategy could help agencies implement cloud platforms.